Which States Have the Most Tax-Exempt Organizations? As the end of 2015 approaches, Americans are deciding where to direct their end-of-year charitable donations. For Americans looking to donate locally, how many tax-exempt organizations will they find nearby? Overall, across the United States, there are 5.36 tax-exempt organizations for every 1,000 people. However, the concentration of tax-exempt organizations varies greatly by state. In Montana, for instance, there are 9.71 tax-exempt organizations for every 1,000 residents – the highest out of all fifty states. On the other hand, Nevada is home to only 2.92 tax-exempt organizations for every 1,000 residents, the lowest concentration in the country. 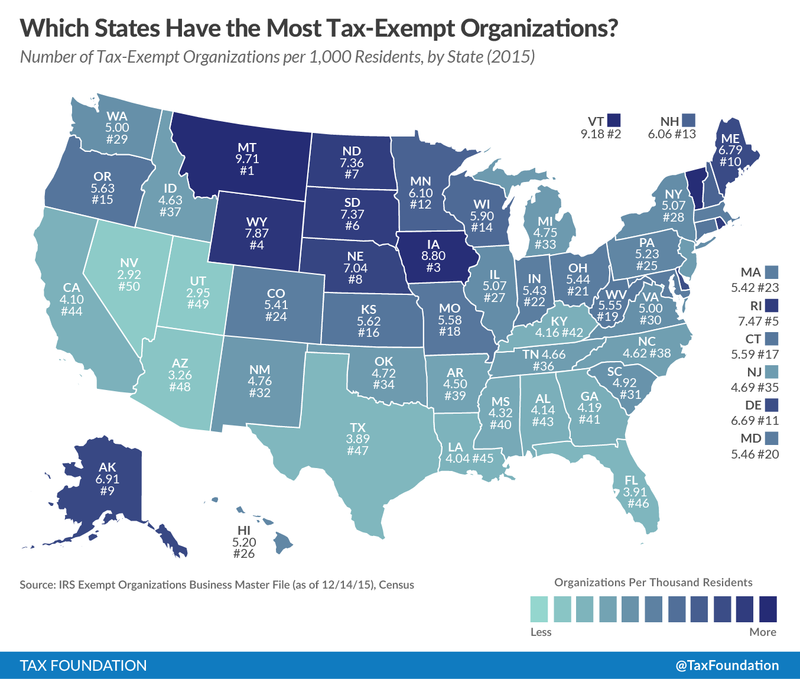 Because these figures have an unusually high variance – the top ten states have twice as many tax-exempt organizations as the bottom ten – it’s worth trying to analyze why some states are home to more tax-exempt organizations than others. One possible theory is that tax-exempt organizations tend to proliferate in rural states, where the population is spread out. Indeed, the four states with the most tax-exempt organizations per capita – Montana, Vermont, Iowa, and Wyoming – are among the most rural of the fifty states. But the next on the list, Rhode Island, is one of the most urbanized states in the country. And two of the most rural states in the country, Mississippi and Arkansas, are home to relatively few tax-exempt organizations. A more promising theory is that the distribution of tax-exempt organizations is influenced by differences among geographical regions in the United States. As the map above shows, there are relatively few registered tax-exempt organizations in the Southeast and Southwest, and many more in the Northeast and Great Plains. This fits in with a number of other statistics showing large cultural and lifestyle divides between regions of the U.S. The results do not seem to be driven by any one category of tax-exempt organizations. For instance, Montana is not just home to more tax-exempt organizations overall than Nevada; it is also home to more educational organizations, literary organizations, animal welfare organizations, scientific organizations, and fraternal organizations. Not pictured on the map is Washington, DC, which has more tax-exempt organizations per capita than any of the fifty states. The District of Columbia is home to 13,228 tax-exempt organizations, or 19.68 for every thousand residents. 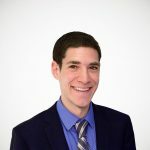 Many of these organizations are nation-wide charities or advocacy groups; for instance, the AARP has over 1,000 chapters registered as separate tax-exempt organizations in Washington, DC.